Governor Hindmarsh Hotel, Thu 13 Dec.
She’s sung with Small Faces, Barry Gibb, Ike & Tina Turner, Peter Gabriel and Primal Scream. She features on some of the 20th Century’s greatest pop songs. Tonight, she is within touching distance. 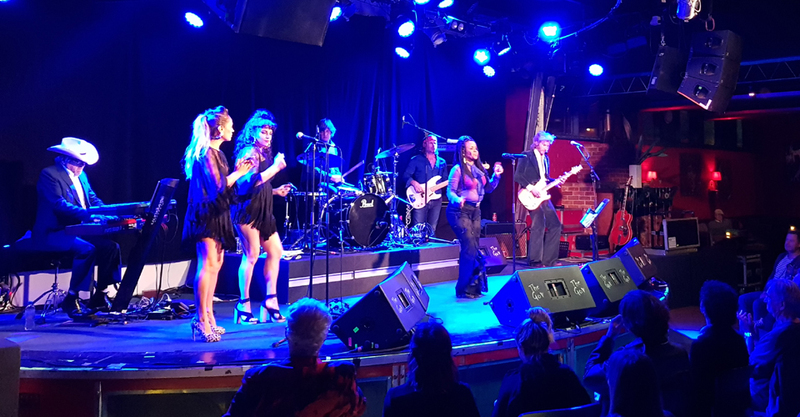 The legendary P. P. Arnold is in town, and there’s no doubting her enthusiasm for the performance as she launches into Born and What’cha Gonna Do to kick off her set. She tells the story of how she fell into the music business, becoming an Ikette almost by accident. No surprise then that the next number she performs is River Deep, Mountain High. Arnold is backed by You Am I’s Rusty Hopkinson, Andy Kent and Tim Rogers, and also features James Black and the fabulous Talei & Eliza Wolfgramm on backing vocals. She presents a showcase of songs that she has a connection with, either as the recording artist or as a backing vocalist. Some, like Angel Of The Morning, are well known as Arnold hits, others less so. Her first-ever single, Everything’s Gonna Be Alright, carries all the hallmarks of a genuine Northern Soul classic, while the Steve Marriott-Ronnie Lane written and produced (If You Think You’re) Groovy is sublime. ‘Newer’ songs (some still decades old but only recently released) mesh perfectly with the tunes everyone knows. There’s a three-song tribute to “Queen of Soul” Aretha Franklin which is preceded by a short burst of acapella gospel in the form of Where We’ll Never Grow Old. If anyone needed proof that Arnold’s voice is still in very good nick then here it is. Her powerhouse version of the Small Faces’ Understanding gets a great reception. Arnold tells tales of life in Swinging London, of her tours with Ike & Tina, and of her friendships with the likes of Steve Marriott, Jimi Hendrix and Mick Jagger. She’s interesting and funny; her stories are an important part of the show. Cat Stevens’ The First Cut Is The Deepest was recorded and released by Arnold “10 years before Rod Stewart”, and she doubts Sheryl Crow was even born when it came out. Medicated Goo and Turning Tide continue to keep the late-‘60s/early-‘70s vibe going. No-one seems to want to be anywhere else tonight. The encore features a rousing Tin Soldier before Arnold bids us farewell with a song she has co-written with her son entitled I Believe. Despite being a song that is new to most of the audience, it is an ideal ending to the show. P. P. Arnold possesses a voice that appears to have remained almost perfectly intact despite the longevity of her career. We can only hope that she continues recording and performing for the foreseeable future. A great and groovy night out, indeed! A voice for the ages!